Visions Restaurant will certainly exceed your expectations. Visions Restaurant is located just off the north tower lobby adjacent to guest registration. Our full breakfast buffet is available daily and free of charge for our overnight guests. Enjoy the beautiful mountain views while you while you prepare for the day. 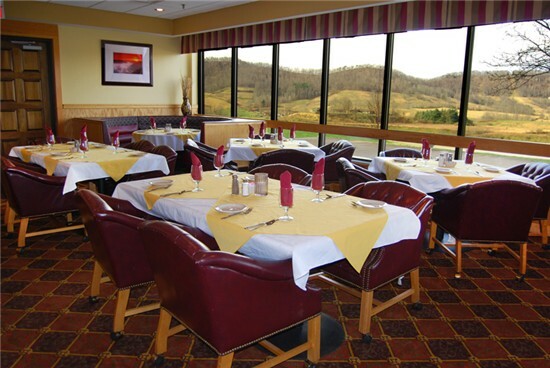 Tuesday thru Saturday Visions Restaurant offers a great menu full of amazing choices. Enjoy our full service bar which offers cocktails for your enjoyment and a great selection of wine and beer to compliment your meal. Come enjoy a selection from our menu mainstays or try something from our seasonal offerings....whatever you choose, we know you will be satisfied. American cuisine prepared with fresh, seasonal, locally sourced ingredients when available is what we do, and we invite you to visit us for a culinary tour of our great nation. Visit us at Visions Restaurant, and taste what we have to offer as we build our dishes with the many flavors and cultural influences our country has to offer. 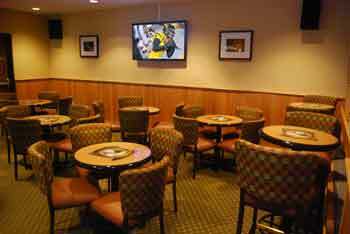 Our tavern offers a place to relax and take in the mountain views. Local wines and top shelf liquors are always in stock to be enjoyed indoors or on the patio. Watch the games on the our flat screen TV. Located just off the main lobby. Enjoy our limited service dining choices featuring our Special French Dip Sandwich.